Isramom: Teaching Jewish Girls in the Shtetl! The girl, top row second from the left is my grandmother Rissel the Ruta (the readhead!) and this picture was taken in Gorodok/Horodok, Ukraine where she was born around 1888. The teacher's name was Binyoumin Kreplach who gained this name having once expressed his yearning for yesterday's kreplach one Yom Kippur afternoon. Small town's don't easily let you live these things down. It seems this didn't spoil the shidduch because the little boy to the left of Mr. Kreplach is his son. My grandmother Rissel Schwartz left the shtetl for Odessa where she lived with cousins and studied in a Gymnasium which as I understand was a secondary school, like a high school. I guess she must have learned enough from Binyoumin to hold her own in the school. 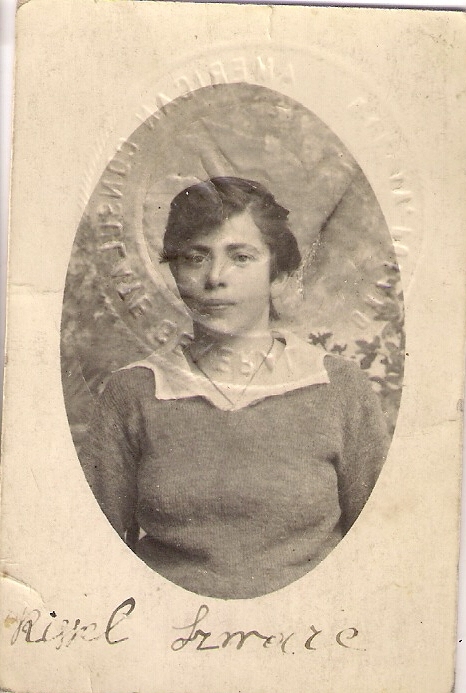 She was there during the revolution but immigrated along with her brother to the United States around 1922. I would love to have asked her questions about her childhood and education but unfortunately she passed away a few months before I was born and I am named for her. My grandmother also studied in Gymnasia in Odessa. She was born in 1896. She later went to study in Leningrad, where she met my grandfather. We have a picture of my grandmother's family - it has a similar look to your class of girls photo. Risa, what a wonderful story. I love the posts about your family history. Actually, I love all of your posts and miss it when you're not blogging. Thank for shearing information about Ukrainian Girls. 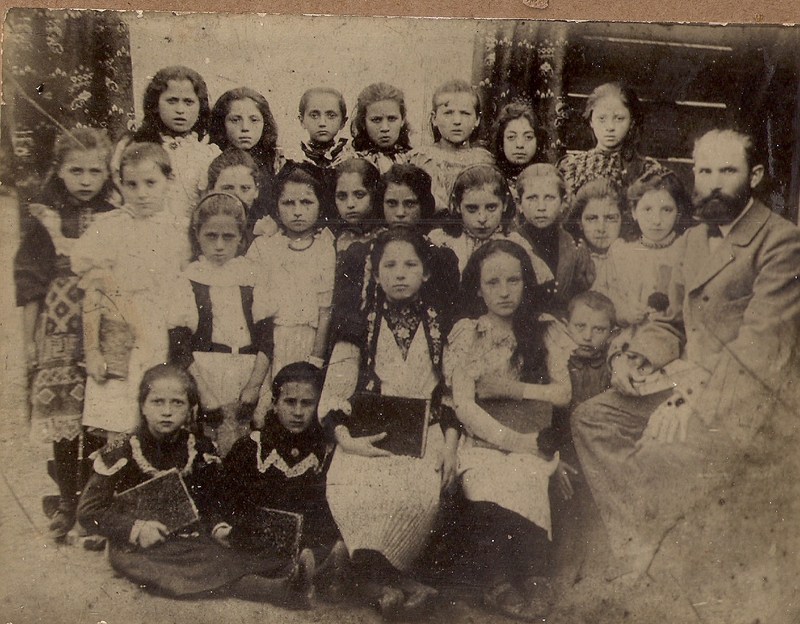 My grandmother a"h also studied in a gymnasia (in Kovno, Lithuania), where all her classes were taught in Hebrew. Thanks for sharing your grandmother's fascinating story. Rabbi Avigdor Miller (a popular Chareidi Rabbi, born 1908 CE, died 2001 CE) delivered a free public lecture in the last year of his life, in which he taught that Jews should pray for the Israeli Army. I personally witnessed this; I was there. When a Jew recites Tefilat Shemoneh Esrei, he is permitted to add his own personal prayer requests in the middle of the final paragraph, which begins with Elokai Netzor Leshoni MeiRa. I recently began adding the prayer for the Israeli Army in that part. I know this is not the way it is normally recited, but it is permitted, and I can say it that way in any synagogue. Rabbi Steven Pruzansky of Congregation Bnai Yeshurun in Teaneck NJ told me that I can recite it even on Shabbat and Yom Tov, because it is a communal tefillah, not a private bakashah. What's going on in Israel?? ?